What is a Podiatrist / Chiropodist? This can include anything from simple nailcare, treatment of painful nail conditions to the reduction or removal of painful corns and callosities. We can also provide simple protective padding and foot health advice. All patients undergo a vascular assessment as well as a comprehensive foot examination at their first appointment. We will then discuss with you your Podiatry / Chiropody needs. These are sometimes described as a “foot wart” and are caused by a viral infection in the skin. Some verrucae can be present for a number of years and cause no pain at all. Others however, can cause discomfort / pain and grow quickly. At the Accolade clinic we can provide a number of effective treatments for verrucae. These include caustic therapy, cryosurgery and dry needling. Check out the tabs above for further details. 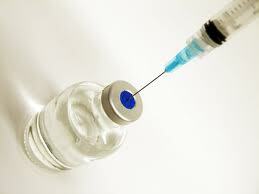 Steroids are powerful drugs which suppress inflammation and pain. They are not a cure to a painful foot or ankle condition, but can help a patient recover quicker when use in conjunction with other treatments. The Podiatrists at The Accolade Clinic hold both Steroid Injection and Prescription Only Medicine Certificates and we will discuss with you whether we feel a steroid injection will help you following your assessment. This ancient chinese treatment has been practiced for many years to treat various medical conditions. Here at the Accolade Clinic we use acupuncture for foot and leg conditions, often in conjunction with other treatments, to reduce a patient’s pain and ease their discomfort. We will discuss its use with you in more detail at your assessment if we feel you may benefit from a course. As a diabetic it is very important that you care for your feet and have a regular foot health check. At The Accolade Clinic we have the experience and knowledge to carry out a comprehensive foot health assessment which includes a vascular assessment including doppler investigation and a blood pressure reading, a neurological assessment and foot examination.